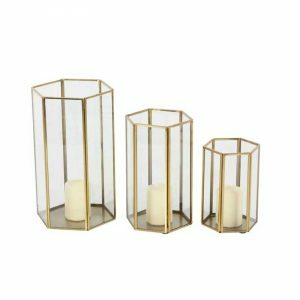 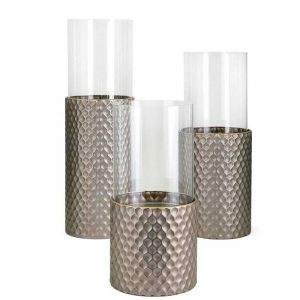 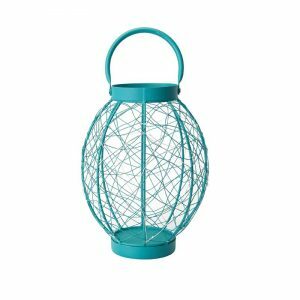 Outdoor Lanterns (Set of 3) - VGGIFT | is a very good gift Supplier. 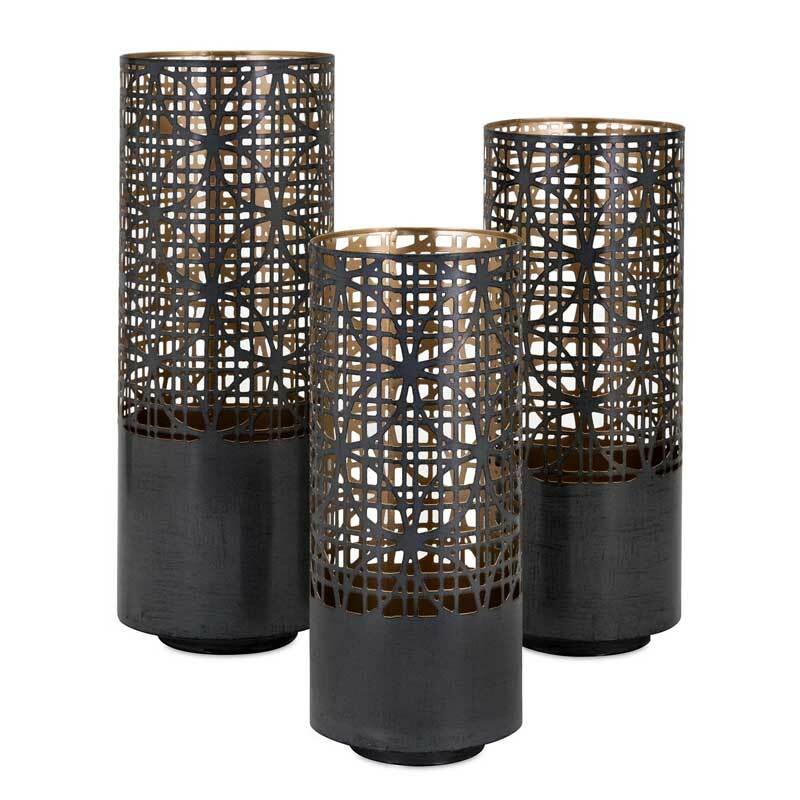 Add a global style to any room with this set of pierced metal lanterns in a latticework design. Add a global style to any room with this set of pierced metal lanterns in a latticework design. 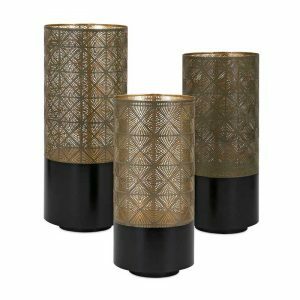 The exterior matte black and interior gold finish highlights the glow of pillar candles.